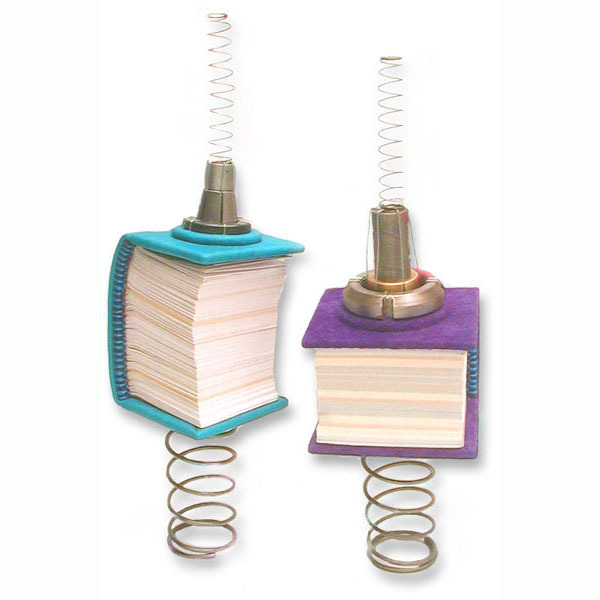 These fun books have a lot of sway to them…moving in the breeze, balanced on springs, with thin wobling springs off the top. 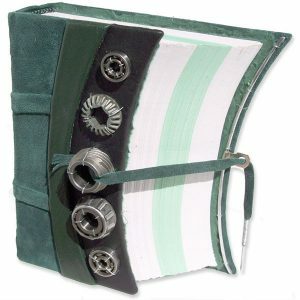 Firmly attached assemblages of steel and brass diesel truck engine parts with fine springs on top to encourage motion are affixed to the front cover. The heights of just the books alone(without the springs) are 3 1/2″ and 2 1/4″. 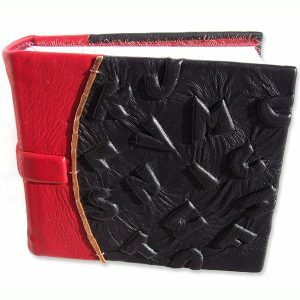 Acid-free pages are bound around leather cords. Headbands are handstitched. Handmade paper lines the interiors as endsheets. They were $225 each. 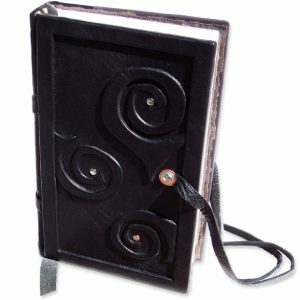 Please CONTACT me to custom order a Bouncing Book in any color.